The staged walkout by the African National Congress during premier Helen Zille’s state-of-the-province address (Sopa) in the Western Cape legislature on Friday was an “act of calculated political delinquency” which flouted democratic processes and is a slap in the face to the majority of the voters in the province who have voted overwhelmingly in favour of a Democratic Alliance-led government for over a decade, the DA said. 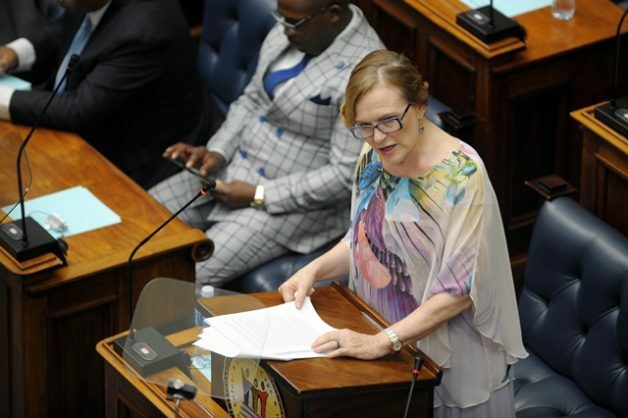 “From the outset, premier Zille’s Sopa was marred by the ANC’s shouted commentary, unruly jeering, and thuggish behaviour which disrupted the crucial opportunity for the premier to communicate the Western Cape government’s extraordinary work over the past 10 years,” DA chief whip in the legislature Mark Wiley said in a statement. “This is an act of pure ANC sabotage by political opportunists desperate to remain relevant in the Western Cape province,” he said. Furthermore, the “alternative” state-of-the-province address given by Ebrahim Rasool on Wale Street was nothing more than a “disgraceful misinformation campaign fraught with ANC racial and populist rhetoric which only seeks to divide the people of our province”. It should be noted that more police officers were in attendance than actual ANC activists, Wiley said. “The fact that this address was given by a former Western Cape ANC premier [Rasool] who was fired from his position by his very own party, and who was alleged to have paid journalists to write stories in favour of the ANC, speaks volumes about the party’s total lack of integrity and complete disconnect from the people of the Western Cape,” he said. Zille’s Sopa was proof that the Western Cape was by far South Africa’s best run province, proven time and time again by its lowest expanded unemployment rate in the country which had now dipped to below 20 percent according to Statistics South Africa, and the fastest growing economy in the country. The quality of life was the highest in the Western Cape. Life expectancy had increased by seven years for men and by eight years for women since 2009. “The ANC may try to peddle a misinformation campaign, but the cold, hard facts will always prove their claims to be baseless. The residents of the Western Cape will not have the wool pulled over their eyes by a political party which dwindles by the day in this province,” Wiley said.